PVC-U has always been valued for its low maintenance and energy efficiency. 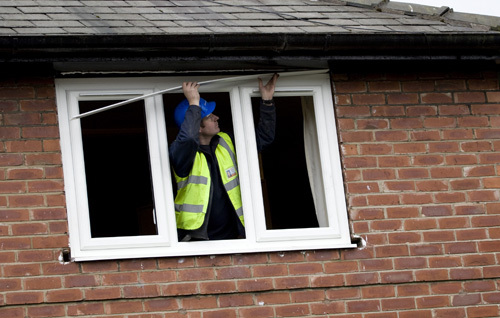 Now, with advances in recycling, it is widely recognised for the contribution it makes to a sustainable build programme – with end-of-life PVC-U frames often being recycled as new energy efficient windows. Here, Chris Coxon, Marketing Manager of Eurocell, looks at some of the latest product developments. “The BRE went a long way in recognising the benefits of PVC-U when it awarded an ‘A’ rating for sustainability with residential and A+ for commercial developments in the BRE Green Guide to Specification. The guide took advances in PVC-U recycling into account when it assigned the highest sustainability rating. It also recognised that PVC-U achieves a Reference Service Life (RSL) rating of at least 35 years and can be recycled up to 10 times without degradation in quality – effectively giving the raw material a life expectancy of 350 years! Eurocell have launched the Ecologik window system that is made from up to 62%* post-consumer recycled PVC-U in a ‘closed loop’ recycling process. Its advanced multi-chambered frame design gives a U-value of just 0.8 W/m²K, the current requirement for zero carbon builds, along with an ‘A’ Window Energy Rating when used in refurbishment projects. The result of a further investment of £2.5m in a dedicated post-consumer PVC-U recycling plant in Derbyshire that can process up to 10,500 frames per week. Work is under way with several local authorities to return end-of-life PVC-U frames as part of a ‘closed loop’ solution. Closed loop recycling is defined as material that is recycled into its original form. In the case of PVC-U, it means recycling old, unwanted ‘post-consumer’ window frames to make a range of new window-related products. Design-engineered to improve thermal performance using the post-consumer recycled material ensures that all external surfaces remain bright, white, new PVC-U. This means that local authorities don’t have to compromise on finish quality or aesthetics by going green and secondary processes, such as foiling frames, are not necessary. Ultimately, the recycled PVC-U means that the window is capable of meeting both the carbon reduction requirements of the Code for Sustainable Homes up to Level 6, zero-carbon, and the sustainable design criteria of BREEAM. 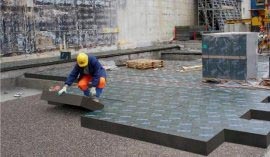 Pittsburgh Corning has launched PC Perisave perimeter ground slab insulation, which has been specifically developed to prevent cold bridging from occurring in Passive Houses. The new addition to the company's range of cellular glass insulation products has already been certified by the Passive House Institute (PHI) in Darmstadt. The PC Perisave base block is a universal base element for the construction of Passive Houses to prevent cold bridging due to a physical break in insulation. The new system is suitable for use in perimeter and above ground splash water areas as well as highly loaded mechanically areas – requiring no special skills to install. Manufactured from cellular glass insulation, the PC Perisave base block is an accredited detail that does not detract from the ecological ethos of a project as it is manufactured from 68% recycled glass and has a Global Warming Potential of one. The PC Perisave base block will not degrade over time, and can be recycled at the end of its life. "For a Passive House to be successful the answer really lies in increasing thermal efficiency, air-tightness and ensuring thermal continuation with robust detailing," said Paul Jones, managing director for Pittsburgh Corning. "Insulation is one of the most important principles when it comes to achieving this balance, and as such we have launched the PC Perisave base block helping specifiers to ensure the PassivHaus principles are achieved." Architects can now assess basic sound insulation requirements for educational or healthcare buildings at the touch of a button thanks to an innovative new online calculator. Following consultations with practitioners across the North West, Manchester-based Azymuth Acoustics has created the free calculator as a guide to architects at the earliest design stage of education or healthcare projects. The calculator uses data and methods contained in Building Bulletin 93 (BB93) and HTM (Health Technical Memorandum) 08-01, which set standards for educational and healthcare buildings respectively. “Appropriate acoustics in these environments are a key consideration in the design process, but up until now architects haven’t been able to easily assess the basic requirements for partition walls or floors,” said Azymuth Acoustics consultant Stratton Barrett. The calculator takes 30 seconds to complete but could save architects considerable time and effort further down the line. Ideal Commercial Heating’s latest product is the Evomod, the brand’s first modular boiler to feature fully condensing technology. This new product has been designed to fulfil market demand, since well ahead of mandatory requirements, more and more businesses are realising the carbon and cost-saving benefits of high efficiency boilers. The Evomod vastly widens the scope of Ideal’s modular offering, with outputs of up to 1,000kW now made possible. The 250kW modules can be stacked up to three units high in the steel frame – for the most compact footprint – with a maximum of four used together, and all combinations are delivered pre-assembled or can be re-assembled on-site. The compact dimensions of the single units (860mmH x 710mmW x 1340mmD) ensure easy site handling, and mean that awkward access is not an impediment to the use of a modular system, since they can be carried through a standard doorway with ease. 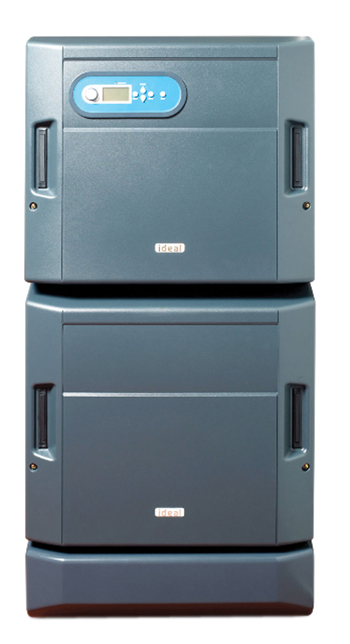 With seasonal efficiencies in accordance with Building Regulations Part L2, of up 95.9% gross, the Evomod can feature up to 20:1 boiler turndown (5:1 per module) for closer load matching and more efficient system operation, while its environmental credentials are also buoyed by Class 5 NOx emissions of below 40mg/kWh to maximise BREEAM points. Rockwool UK has announced that it has entered into a strategic partnership with British Gas, to provide insulation to its cavity and blown loft installation divisions. The new British Gas and Rockwool offering will allow households to insulate their homes for free, or at low cost, as part of the Government’s Community Energy Saving Programme (CESP) and the Carbon Emission Reduction Target (CERT). The new partnership will also see UK homeowners being offered Rockwool cavity, blown loft and roll insulation in a bid to help them save money on their energy bills. Rockwool blown loft insulation provides a faster alternative to traditional rolled insulation and allows awkward loft spaces to be easily insulated. Rockwool cavity wall insulation is also being provided through the scheme to help reduce heat loss through walls. 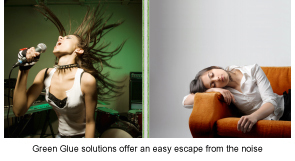 As well as helping homeowners save money on their energy bills, both these solutions are also non-combustible and provide sound protection. A cost efficient, space saving and easy-to-install solution to help you meet Building Regulations and the Code for Sustainable Homes. These are just a few benefits that the WPL percolation tunnels can offer architects when they’re busy creating solutions to discharge rain and storm water on the projects they are developing. Whether designing the ideal dream home or a large scale housing development, space for building new properties and developments is at a premium, which has the effect of setting architects with the challenge of developing innovative and cost effective solutions, while meeting the many building and sustainability regulations imposed by the government. In the wake of the flooding that has been affecting our country in recent years, the building regulations, part H, demands an effective solution for the discharge of storm water. 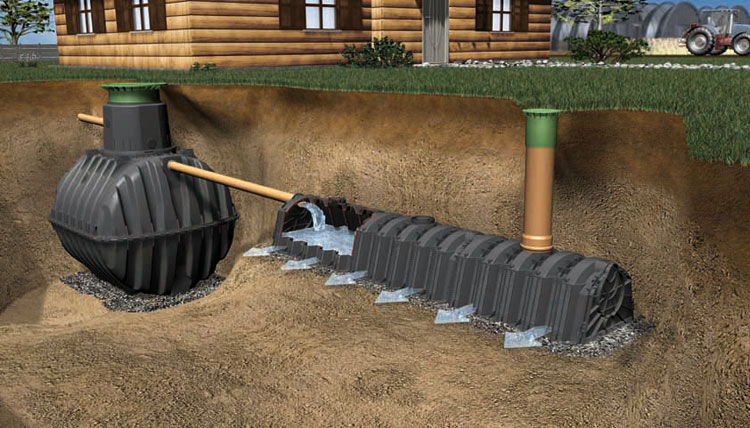 In response to this, WPL has introduced a new, cost-effective, product to their range of environmental water solutions, a multipurpose percolation tunnel that has been designed to replace conventional drainage systems. The percolation tunnels are three times more efficient than the traditional pipe and trench methods of attenuation and percolation, so a 62.5m pipe can be replaced by a 20.8m tunnel. The space-saving tunnels are easy to install as they are constructed from durable polypropylene, which is made of 100% recycled material. 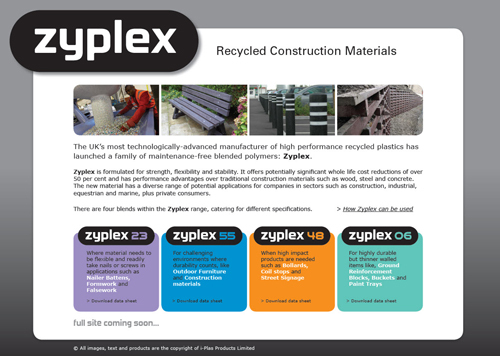 i-plas, manufacturer of high performance recycled plastic products for the civil and construction industries, has launched Zyplex, a family of maintenance-free blended polymers, engineered for strength, flexibility and stability. 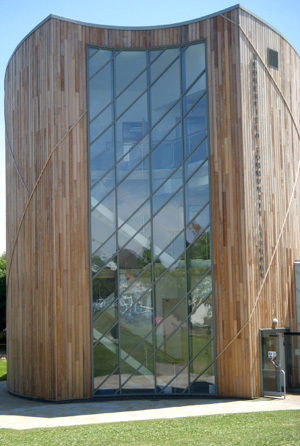 Zyplex offers whole-life cost reductions of over 50% compared to using products made from wood, steel and concrete. i-plas has also recently launched Ecocrib, a market first embankment retaining structure, manufactured from Zyplex 55. Sika Roof Assured is inviting homeowners to bring their plans to Grand Designs Live (stand B239), 30 April-8 May, Excel, London, for some expert advice on flat roofing and Photovoltaic (PV) options for their property. 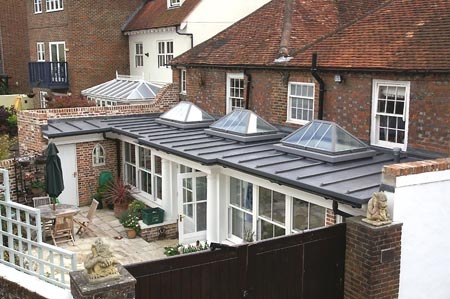 The Roof Assured team will be on hand to answer questions, discuss options, demonstrate the installation of the roofing system and offer technical advice. They will be joined by solar solutions partner Renewable Resources who will provide information on a variety of solar roofing solutions. Visitors will also be able to see examples of Roof Assured’s long lasting and high quality roofing system, with the Sarnafil membrane, providing improved thermal performance, and a life expectancy ‘in excess of 40 years’. Wall ties are an essential element in the strength and stability of cavity walls, but by crossing the cavity they act as a thermal bridge between the internal and external leaves. Generally speaking, the wider the insulated cavity, the more substantial the wall tie needs to be, and the greater the effect the tie has on the U-value of the wall. The challenge for the wall tie industry, set by the Government’s ambitious energy efficiency targets, is to reduce the thermal conductivity of its products while continuing to meet the structural performance requirements of multi-storey and wide cavity construction. Ancon has met this challenge with a range of low conductivity wall ties. The range includes the BBA-approved, basalt fibre, Ancon TeploTie which suits cavities from 50mm to 300mm. TeploTie composite wall ties comprise pultruded basalt fibres set in an epoxy resin. With a thermal conductivity of only 0.7W/mK, they are the most thermally efficient wall ties on the market, the company claimes. Ancon stainless steel wall ties have been value-engineered to provide high performance at competitive prices. The effect Ancon’s high tensile wire wall ties have on heat transfer is negligible and they can be excluded from U-value calculations to EN ISO 6946. Fakro’s FTT U8 Thermo triple glazed roof window, shown for the first time at Ecobuild, offers an exceptional heat transmission co-efficient and a U-value of 0.68 W/m2K. With a 30% thicker sash than a traditional double glazed roof window, the 32mm glazing unit provides a U-value of 0.5W/m2K. An automatic air vent activated by external air pressure provides continuous adjustment of the air flow while the patented topSafe system provides the highest standard of security and safety currently available - Class 4 EN13049. Among the range of FTT Thermo roof windows, the FTT U5 was recently supplied to the Scottish Housing Expo project for use in homes built to the Passivhaus standard. It has also been used in the North East’s first Code for Sustainable Homes Level 6 project at High Farm, Great Lumley, near the Angel of the North. The FTT Thermo is a pivot point provides a raised axis of rotation. As a result, even taller home owners can stand comfortably by the open window without the intrusion posed by centre pivot operation. The sash can be held open in any position between 0° and 45° while the new Thermo window design uses a new method of closing which locks the sash either side of the frame. Equipped with a quadruple sealing system made of flexible TPE material, the FTT Thermo U6 and U8 windows offer an acoustic performance of 38dB, and can be installed in the roofs with pitches between 15º and 70º. Mighton Products claims to have become the only window systems company to gain LABC approval for timber sash windows, which covers its EcoSash, EcoSlide and EcoSafe range, which sit alongside their energy rated EcoTilt product. The company now offers a range of Part L compliant window systems which have been registered with Local Authority Building Control (LABC), after they carefully approved the technical drawings and thoroughly examined the test results. For joiners and fabricators this means that sash windows no longer need to be tested individually, as long as they are manufactured to Mighton’s specifications, which includes hardware and weatherstripping. The approval certificates are even verifiable on the official LABC website at www.labc.uk.com. Gaining Part L approval for a window involves the design, manufacture, testing, and submission of drawings and results, and a document control process. This has already been completed by Mighton Products so they are now able to provide these test results, drawings and permission to build an approved window to their customers, along with a simplified document control system. The EcoTilt window already carries ‘A’, ‘B’ and ‘C’ ratings under the Window Energy Ratings Scheme (WERs) which in itself is Part L compliant. Combined with the LABC approvals, it’s helping save their customer’s time and money, enabling them to focus on other key areas of their business. It has been reported that UK investment into renewable energy dropped last year by as much as 70%. This is despite government insistence that the UK is committed to such essential green causes in order to reduce the impact of climate change. Despite this, renewable energy is still viewed as being the future when it comes to heating homes and providing them with regular electricity. 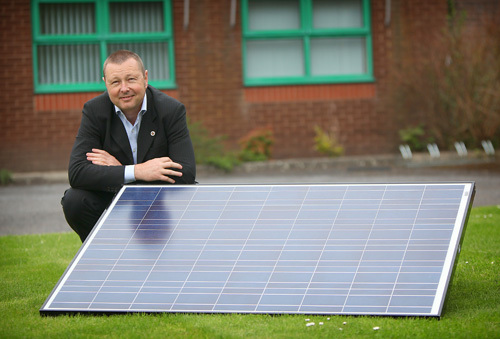 Planet Solar continues to fly the flag for solar power as we believe that it is the future of energy. 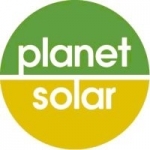 Planet Solar is a solar panel installer in Lancashire that provides households across the region with the latest solar panel systems. They are a clean and environmentally friendly way of helping homeowners produce energy so that they have daily hot water and lighting. 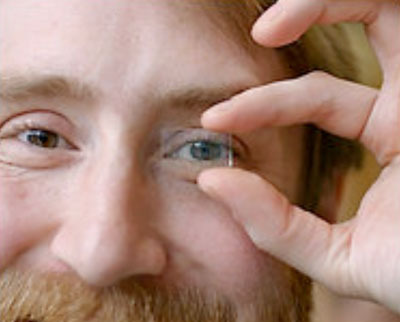 There is a general misconception that solar power will only be effective on sunny, clear days. This is incorrect, as you will find that they can work just as successfully on dull, overcast days. Stelrad Radiators has launched its K3 energy efficient radiator in the UK having shown the new design at EcoBuild in London in early March. K3 radiators – radiators with three panels and three convector fins – provide increased heat emitting surfaces – and they’re ideal for use with renewable heating systems. The most common renewable heating methods are air source or ground source heat pump installations and solar thermal systems – all of which can produce effective and energy efficient room heating. Heating systems driven by renewable energy will typically operate at DT (Delta T) 30ºC due to the lower temperature generated by the renewable heat source compared to conventional methods – boiler driven systems – that operate at around DT 50ºC. DT is a measurement of the mean flow and return temperature subtracted from a nominated room temperature of 20ºC. The difference is called DT. The principal factor determining the level of heat output is the difference between the ambient and system temperature. A system generating lower system temperatures requires larger surface areas from the heat emitter to provide the level of heat required to provide a comfortable room temperature. This doesn’t necessarily mean a requirement for huge expanses of radiator in a room. With modern technology, there are other ways of providing the surface areas required. 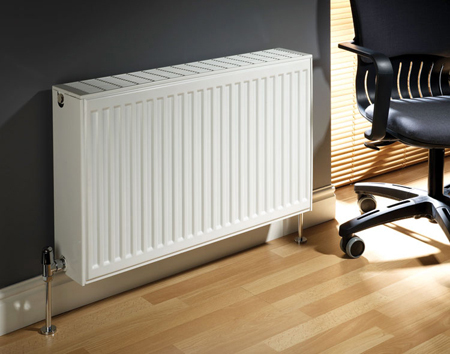 Single (K1) and double panel (K2) radiators are common within the UK, but triple panel radiators – offering three panels and three convector fins – are a new introduction in the marketplace although quite common in mainland Europe due to the lower system temperatures often employed in homes on the continent. By doubling up or tripling up on the number of panels, it’s possible to achieve higher heat levels from smaller length radiators. For example, a shorter length Stelrad K3 would benefit from a space point of view when compared to a longer K2. Installing a triple panel radiator reduces the length of radiator required, offering an adequate steel surface area but taking up significantly less wall space. The majority of waste generated by industry can be easily recycled or compacted, but waste management companies neglect to advise their customers about cost saving initiatives as the more skips they empty the more money they make! 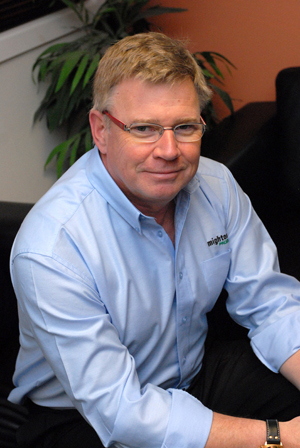 CK International offers free no-obligation advice on how best to reduce ever increasing waste management costs. The company will visit your site and make suggestions that will enable you to not only save money but also at the same time become more environmentally friendly. In what remains an uncertain market, reducing your waste management costs can make a substantial difference to your company’s profits. To arrange a free of charge waste survey please contact CK International’s national sales manager Simon Wells on 07779 713 725. Permadoor will be showcasing its specialist eco option addition to its GRP composite door range at this year’s CIH Housing Exhibition. Visitors to stand C169 will be among the first to see the new eco option composite door, which features a door frame fabricated from RECO22, a framing system, which is the first of its kind made from 100% post-consumer waste PVCU, fully closing the recycling loop. The frame profile also has an aesthetically appealing white wood grain effect finish, which complements the door leaf. In addition, Permadoor is now offering every door glazing style in three options, including an argon gas filled sealed unit which, in some models, can achieve U-Values of as low as 0.7W/m2K. Adrian Sunter, Permadoor’s national sales manager said: “The launch of RECO22 is a breakthrough in reducing CO2 emissions for the door industry. Independent Research figures indicate that recycled profile has only 6% of the carbon footprint of a PVCU profile using virgin material. 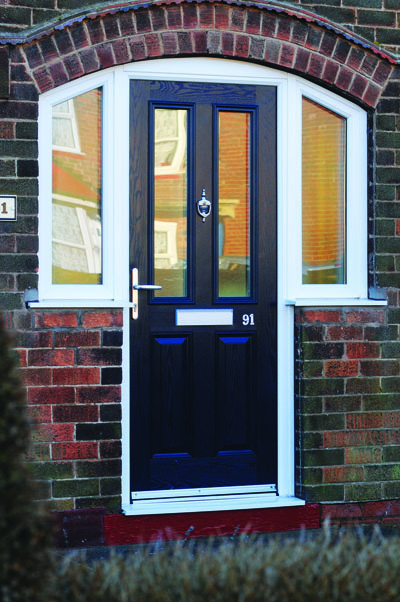 “We aim to demonstrate at CIH how the frame and certain door cill options of Permadoor’s new eco option door can be supplied with recycled composite material (RCM) as a cost effective and sustainable alternative to steel or aluminium reinforcement. Permadoor’s Reco22 doorframe with RCM reinforcement and dedicated hardware is compliant to PAS23 and PAS24. The standard is a requirement for compliance with Secured by Design 2009, which is a prerequisite for all sectors of social housing and to maintain insurance protection.